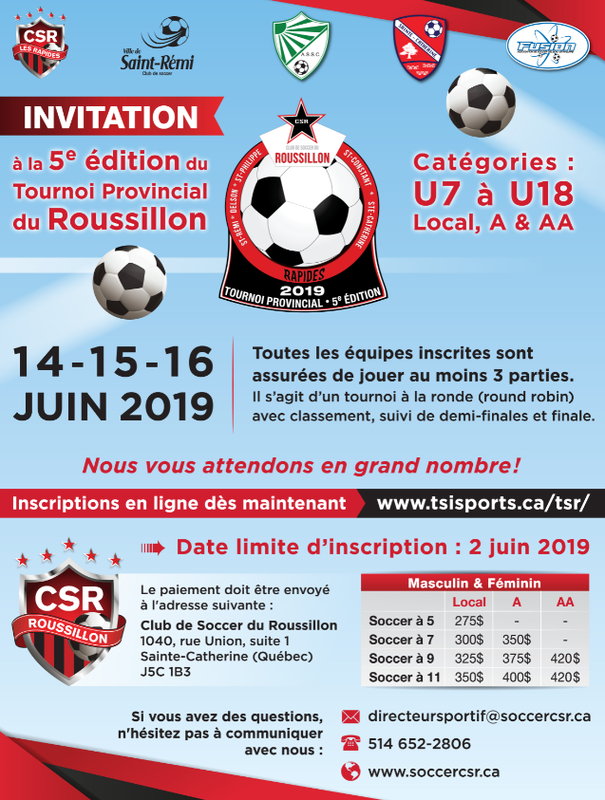 of the Roussillon Provincial Tournament! We are pleased to invite you to participate in this tournament and look forward to welcoming you. The tournament will take place from June 14th to 16th, 2019 and the deadline for registration is June 02 , 2019. 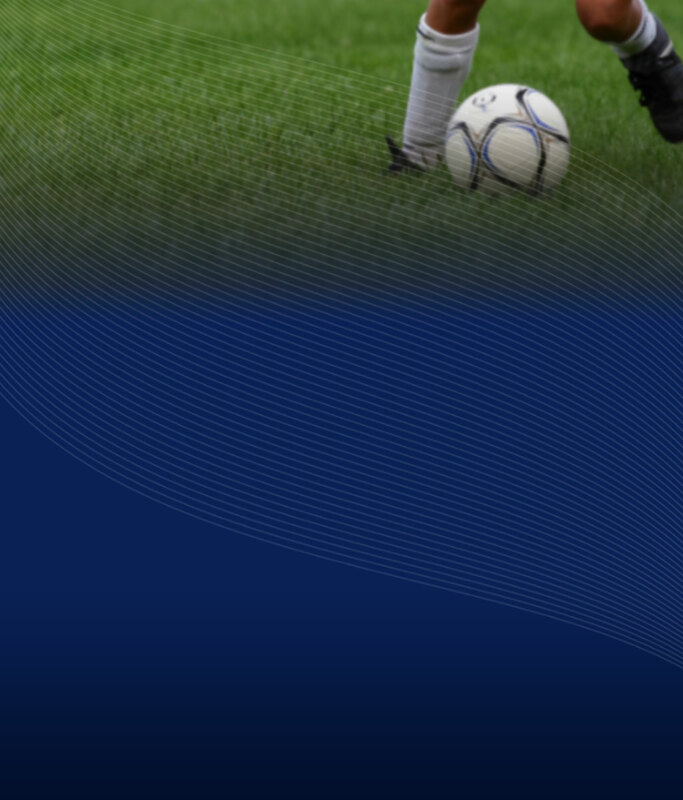 All registered teams are guaranteed to play a minimum of 3 games. This is a round robin tournament, followed by semifinals and finals. - All teams affiliated to another region or province other than the Regional Association of the South Shore must obtain a travel permit from their regional association. - Please make your check payable to the « Club de Soccer Roussillon ». If you have questions, please contact us by email at directeursportif@soccercsr.ca, by telephone at (514) 652-2806 or visit our website at http://www.soccercsr.ca/csr/.